Flowers, peacocks, butterflies. This bags collection is inspired by the most beautiful creatures of the planet. Let’s discover this wonderful world! 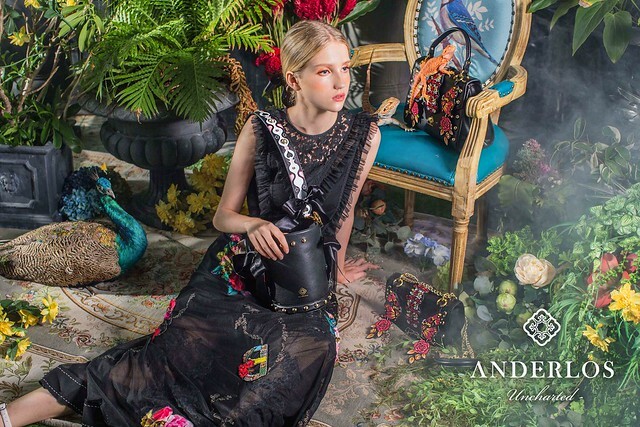 “In 2015, ANDERLOS was established with the spirit to create “beautiful wonderland ” that emphasized Eastern and Western art of fashion. We also express the concern about environmental protection and multiculturalism. What’s the concept of your latest collection? Our theme of 2018SS series is ” Uncharted “. We use” Mysterious romance ” to express ecological conservation. 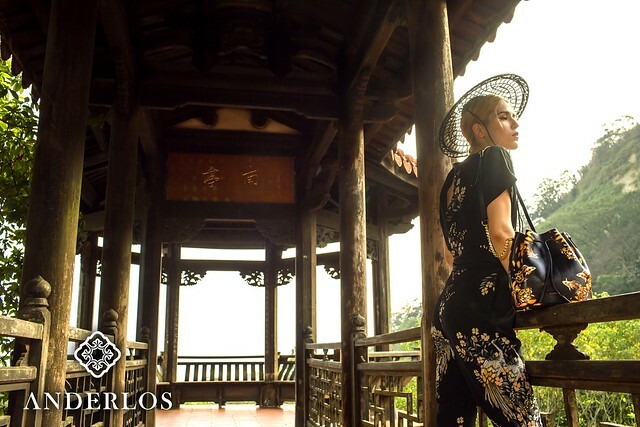 To express, our designer used lots of natural flora and fauna, like peacocks, flowers, snakes and Taiwan butterflies. Also decorated with bright glass gem and meticulous work. Every design product makes you feel romantically and elegantly. What inspires you the most? At the beginning of brand creation. Our designer tried to merge some Great buildings and insects in the creation. After the trial operations, we received many customer’s advice. They are very interested in the story behind each series of product, and support the ecological conservation. It encourages us continue to express our story with the beautiful paintings. How does the place you live in affect your design? ANDERLOS was born in the beautiful island. In this island, we had rich and diverse natural ecology. But all these amazing scenery and natural ecology are gradually withered by human destruction and failure policy. We hope that people could attention to the natural ecology though our design. What’s the future of fashion according to you? Through the internet, fashion, life and art will integrating of the future. It’s not just only a product but also a advanced collection. In the future ANDERLOS will continue our new story with unique art design and create more products. What’s your next project? 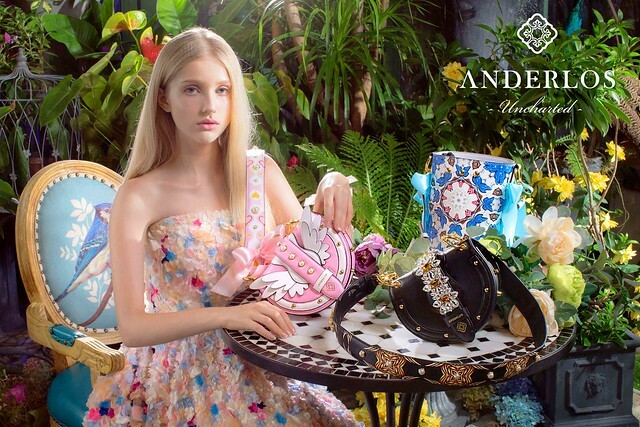 We will continue our handbags career, strengthen the European and Asian markets. In next year we will increase our accessories also more commodity style. These bags are absolutely gorgeous!! Wow!